SLS joined its sister property Grand Sierra Resort & Casino in selecting Rainmaker's full suite of solutions, comprised of guestrev, grouprev, and revintel. SLS Las Vegas Casino & Hotel, a luxury resort and casino property in Las Vegas with 1,615 guest rooms and suites in three distinctive towers, over 95,000 square feet of meeting space and a collection of acclaimed restaurants, bars and entertainment venues, has been added to the growing customer roster of The Rainmaker Group (Rainmaker), a leading provider of cloud-based hospitality revenue and profit optimization solution provider. The casino occupies 60,000 square feet and features approximately 600 of the latest slot and video poker machines complemented by more than 50 classic table games. SLS Las Vegas hotel management was reportedly impressed by Rainmaker’s drive to help their property achieve total revenue management. 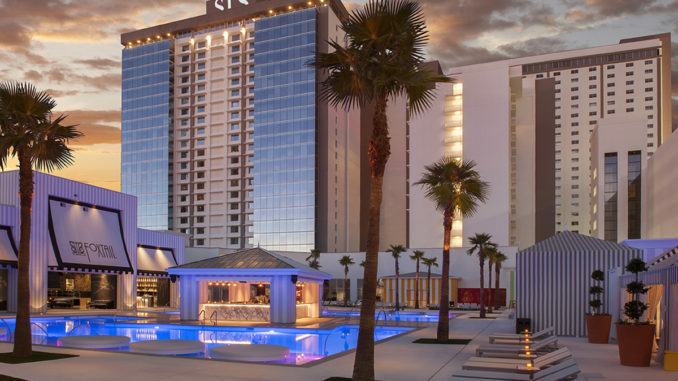 For that reason, combined with the solution provider’s long track record of success, SLS joined its sister property Grand Sierra Resort & Casino in selecting Rainmaker’s full suite of solutions, comprised of guestrev, grouprev, and revintel. Guestrev is an intuitive and easy-to-use revenue management solution that analyzes total guest value across a hotel or casino property to forecast and price rooms; grouprev is an innovative group pricing solution that streamlines the process of responding to group RFPs by analyzing historical data, future demand, and price sensitivity to recommend the best pricing for group business; revintel is an intuitive business intelligence solution that improves day-to-day revenue management by mining various data sets and providing deep insights at a granular level. Rainmaker reportedly achieved sales growth YOY of over 20 percent in the first quarter. Last year, Rainmaker announced its expansion into the all-inclusive market. The announcement was coupled with product advancements to best fit the unique all-inclusive business model. Updates to all three Rainmaker solutions to match the all-inclusive model, including the ability to forecast, optimize pricing and analyze data on a per person basis, are now available to Rainmaker hotel customers.